Yarwoods Excavator Attachments Ltd are proud to provide Concrete cracker hire in Yorkshire and throughout the UK. We offer the customer a strong and reliable product with excellent product knowledge, service, maintenance and an extensive range of readily available spare parts. Add Yarwoods legendary service to the above and we become difficult to beat when it comes to concrete cracker hire Yorkshire! When working in construction it is important to choose equipment such as concrete crackers that are reliable and do the job that is required. Yarwoods have the expertise to supply your business with industry leading and high performing quality products that are built to last. 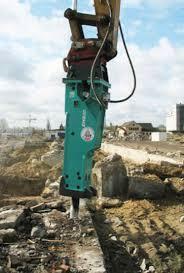 We have extensive experience in concrete cracker hire in Yorkshire and all over the UK. We offer the customer a strong and reliable product with excellent product knowledge, service, maintenance and an extensive range of readily available spare parts. The concrete crackers that we have available have built a reputation for being solid, reliable and powerful. The right concrete cracker is always available ensuring correct matching and ultimate operation and productivity. We provide concrete cracker hire in Yorkshire and throughout North West, North East and the UK as a whole, including Glasgow, Lanarkshire, Inverness, Newcastle, Carlisle, Birmingham and many more.